Seed treatment is done to ensure the soil-borne pests don't attack it even ensure ants squirrels and birds from feeding on the sowed seeds. Mix all the above-mentioned materials with seeds and allow them for drying up to one hour. Soaking the seeds in water before sowing will improve the germination percentage. Duration of soaking depends on the nature of the seed coat. 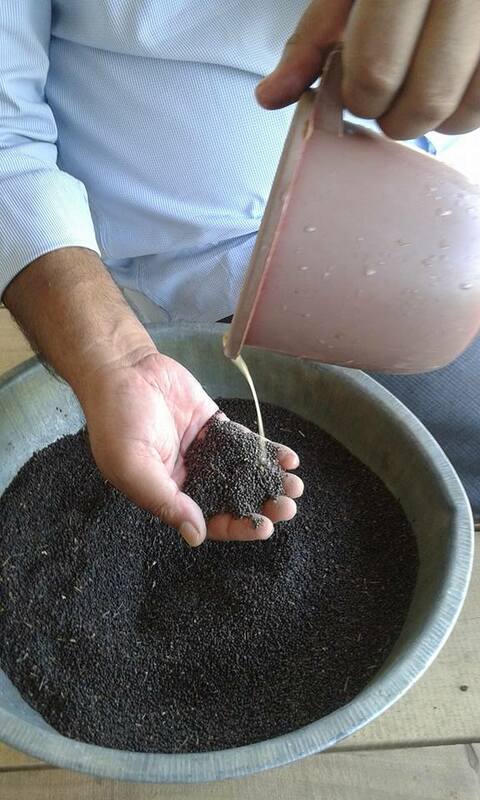 We can improve the disease resistance by soaking these seeds in cow urine. The sprinkling of ash and water and drying under shade. Some farmers use hot water(50 degrees) treatment to overcome seed-borne diseases. Salt water treatment is another which used for paddy extensively. How to successfully sprout vegetable seeds the natural way? There are many ways to sprout seeds.One of the favourite ways is to mimic nature’s process. That is by replicating birds, reptiles and mammals eating the fruit and excreting the seeds. By soaking seeds in hot water we can partly emulate the nature method.However, certain plants have their own unique way of procreation like black pepper. Black pepper is usually planted using cuttings and not by seed. In the wild, pepper vine will spread its new tentacle to an adjunct tree and start there afresh with new roots underground and gripping roots on the tree to anchor. So there is a limitation in success ratio by using seeds. Best time to start sprouting a seed is by end of March. This is the time when most weeds sprout (most part of India receives summer rains) and by June when south-west monsoon is expected plants establish themselves. Best time to start preparing saplings is by end of March. Place the chillies in an envelope or between the newspaper and rub it well so that all the seeds are separated from the flesh. Now collect all the seeds in a shallow container and pour some hot water (Not boiling water, but should be considerably hot) rub the seeds well keeping them in the hot water. Please wear gloves or cover your hands with coconut oil to avoid burning sensation in hand. Oil dissolves capsaicin attached to your skin, repeat oil application and wash with soap for several times. This will ease the burn. Discard seeds that are floating on the water. They are hollow and will not germinate. Take the seeds out of the water and add some ash from burned leaves (Mango leaf ash is ideal) into the seeds; mix well and let it dry overnight. Seeds are ready to be planted. (Above mentioned process has upwards of 95 percent successful germination results. However not all sapling may establish them self and bear fruit). You can also preserve the seeds and use after few weeks or months for planting. Seeds also need warmth when planted so cover it with a dark material preferably a black polythene sheet which also traps moisture. New shoots will have two parallel leaves on its crown. Take care that these leaves have to fall off naturally. It’s now time to transplant to bags or to the new planting location. Some hard seeds like pumpkins’ take a lot of days to germinate. Follow the above points but before planting, moisten them and tie in cotton cloth. Then bury the seeds shallow with very little soil on top. Keep a stone 10 times the weight of seeds altogether on top. Soak the seeds in Biogas Slurry for 30 minutes before sowing. Take 500 Grams Cow Dung and 1 Litre Water. Mix both the Cow Dung and the Water well. Soak the seeds in this concoction for 24 hours and keep it in a cool dry place. Sow the seeds immediately on the next day. Expect germination to improve by 90% for vegetables like Bitter Gourd, Ribbed Gourd, Snake Gourd, Bottle Gourd and Pumpkin. Soak the seeds in cow urine for 12 hours and keep it in a cool and shaded place. This will improve germination. 1. Take 980 ml of water. 2. Add 20 ml of Panchakavya to it. 4. Soak the seeds in this concoction for 30 minutes before sowing. 5. Sow the seeds immediately. 1. Soak the seeds in water for 12 hours and keep it in a cool and shaded place. This will improve germination. 2. Sow the seeds immediately on the next day. Why some seeds fail germination test? Not all seeds are the same. 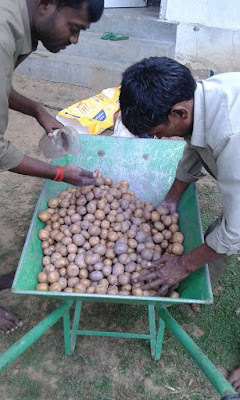 Not all will germinate and be able to multiply.More the surface area of the seed the more the chance of failure in germination due to storage.Seed should ideally be stored in dehumidified chambers between 10 to 15 C to preserve the germination.Post-harvest in earlier good olden days the seed used to be stored in hut or chambers which used to maintain around 20C, but due to raising in outside temperatures as well as advanced technology we now have good facilities. Apply ash to seeds and store in mud pots. Use dry Neem leaves for the preservation of seeds. 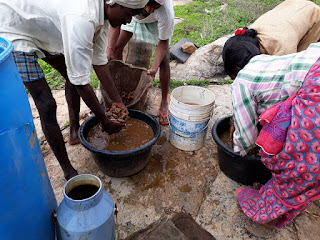 Neem leaves, wood ash, red soil, clove, ghee, garlic, cow dung, cow urine can be used for seed treatment.dry them and store in mud pots. Use ziplock or airtight jar and keep at the constant temperature. 200g of common salt will be mixed for 1kg seed and stored in jute gunny bags. 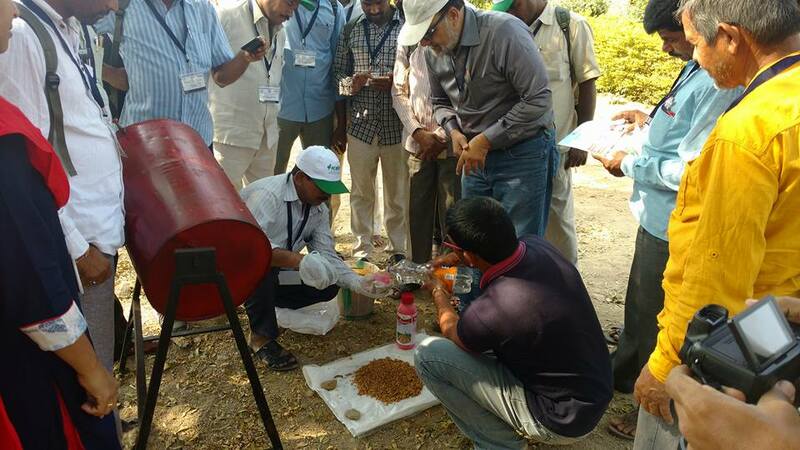 1g of camphor per 5kg of seed will be placed in jute gunny bags. Before storing seeds dry them under sunlight. Seed Vigour, Viability, Germination are the factors need to consider. Best is any ash.Maintains correct moisture.Excess moisture will be absorbed.Insects won't affect.